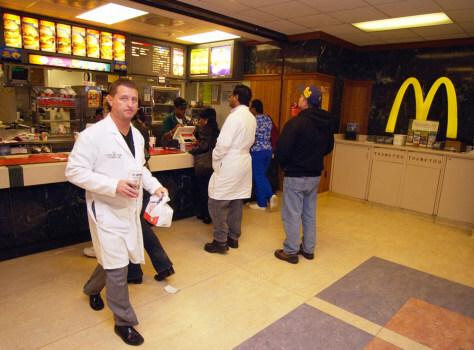 Should hospitals serve fast food? Derek Damron, a cardiovascular medical researcher, grabs a burger on his lunch break at a McDonald's in the food court at the Cleveland Clinic. The hospital is trying to get some fast-food franchises out of the main campus building.